Chancellor Philip Hammond has called for a review of inheritance tax (IHT), to make it “fit for purpose”. In a letter to the Office for Tax Simplification on 19 January 2018, he asked for proposals to be put forward to improve the “particularly complex” system. The chancellor suggested a focus on several areas of the system, including technical and administrative issues such as the tax returns process. He also recommended that the review should look at practical issues surrounding estate planning and disclosure, as well as the way gifts rules fit into the IHT system. A more detailed version of this outline will be agreed in the coming weeks. This review is long overdue. Inheritance tax is fiendishly complex with many tax traps for families who don’t take financial advice. A simpler system that people can easily understand is desperately needed. 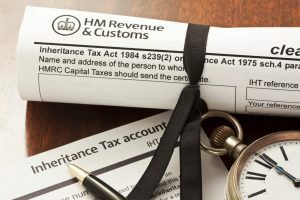 The review could see the introduction of radical changes, charging IHT on the person who receives the inheritance rather than the estate of the deceased. Speak to us today about your IHT planning.